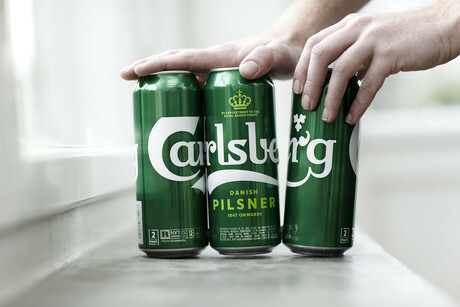 The Carlsberg Group is making its mulitpacks more sustainable by gluing cans together, helping it save over 1200 tonnes of plastic per year. The company is launching the Nature MultiPack packaging solution from KHS subsidiary NMP Systems for its cans under the name Snap Pack. Three years in the making, it bonds cans together during transportation with a few dots of adhesive that can be easily separated by consumers. “We have succeeded in developing an adhesive that works without damaging the printing ink and lacquer on the can,” said Christoph Georg von Aichinger, Senior Sales Director at NMP Systems. By replacing shrink-wrapping, hi-cone rings and other secondary packaging with glue, Snap Pack is expected to help Carlsberg save up to 76% of plastic. “One of our company goals is to strive for improvements, and with the launch we clearly show that we continue to live according to our founders’ mentality. Carlsberg’s Snap Pack will significantly reduce the amount of plastic waste, and we look forward to offering consumers a better beer experience with less environmental impact,” explained Cees ‘t Hart, CEO of the Carlsberg Group. Market research revealed sustainability is one of the most important purchasing criteria for consumers. Snap Pack aligns with Carlsberg’s sustainability program ‘Together Towards ZERO’, which aims to reduce carbon emissions by reducing waste and increasing recycling and re-use of materials. It also includes a carrying handle for convenience, generates less waste for consumers and makes cans easy to identify on the shelf. “Aligning the layout of each single can in the Nature MultiPack creates a so-called billboard effect. This effect brings a larger visual communication area for the brand displayed on the shelf,” said von Aichinger. The four- and six-pack cans will be initially sold in the UK and Norway, followed by Denmark in early 2019. Image supplied by NMP Systems/Carlsberg. Grounded offers a range of compostable flexible packaging options made from bio-based materials.